Happy Monday my friends! 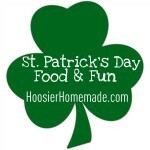 We are in our last week of St. Patrick’s Food and Fun, I hope you have enjoyed it so far. 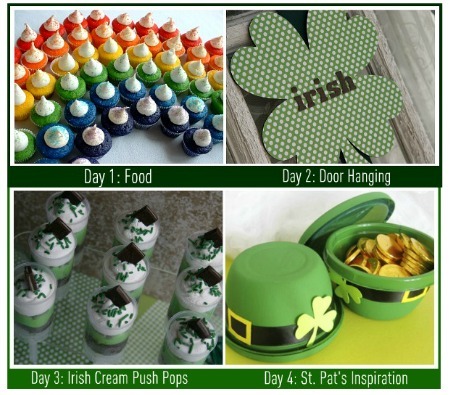 We have lots of delicious recipes, dinner ideas, fun for the kids and of course, St. Patrick’s Day Cupcakes for you this week, so stay tuned! 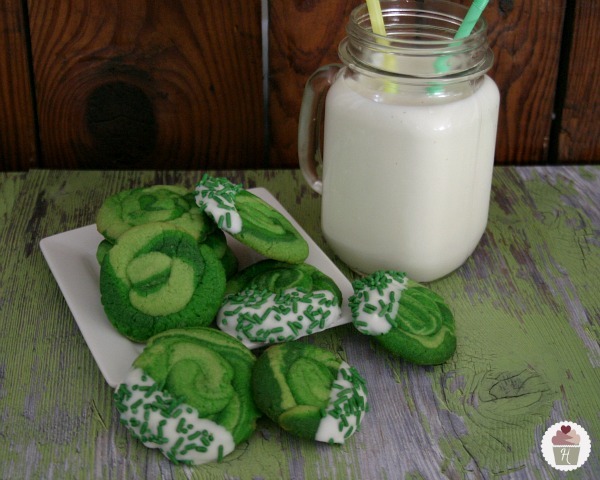 I’m brightening your day today with these green ombre St. Patrick’s Day Cookies! One of the Rainbow Recipes I had on my list and didn’t get a chance to bake, were these Rainbow Cookies. So, I thought it would be fun to change it up a little and simply color them green for St. Patrick’s Day. They used store bought sugar cookie dough, but I used one of my favorite Sugar Cookie Recipes that has almond extract in it. After they were cooled, I dipped the edge in white chocolate and added a few green jimmie sprinkles. I think these would also be fun for Valentine’s Day or even Halloween. 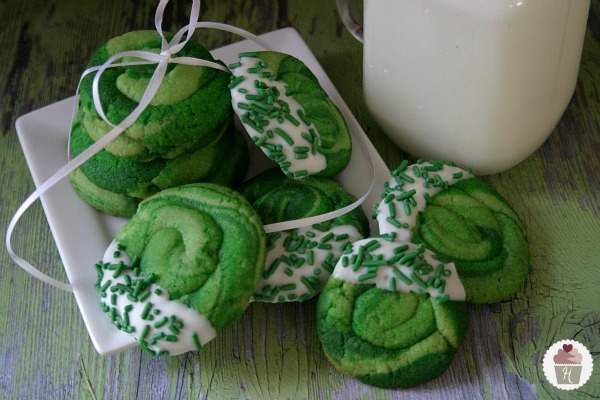 Or maybe some fun March Madness cookies with your favorite team colors! After mixing up the dough, you will need to color it. 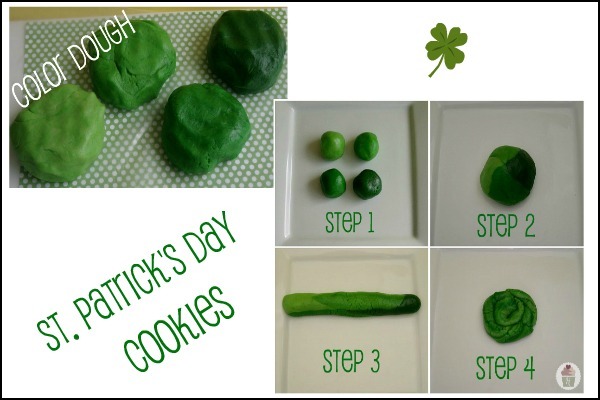 I used Wilton leaf green coloring, divided the dough into 4 parts and colored each a little darker. Cover the counter with a piece of wax paper, and knead the coloring in until well blended. 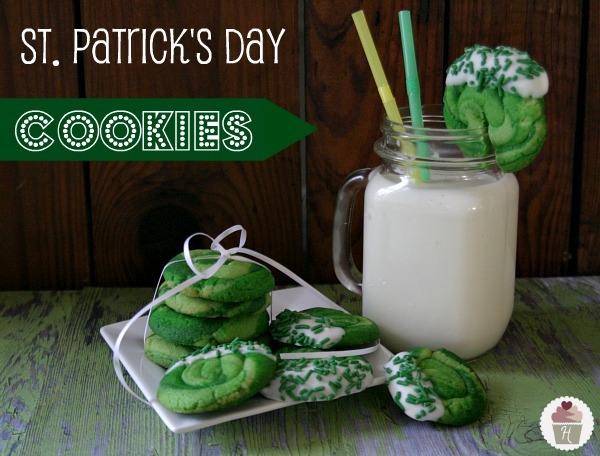 The color on those cookies really comes out when they’re baked! I’d worry about over-working the dough and ending up with tough cookies, though. 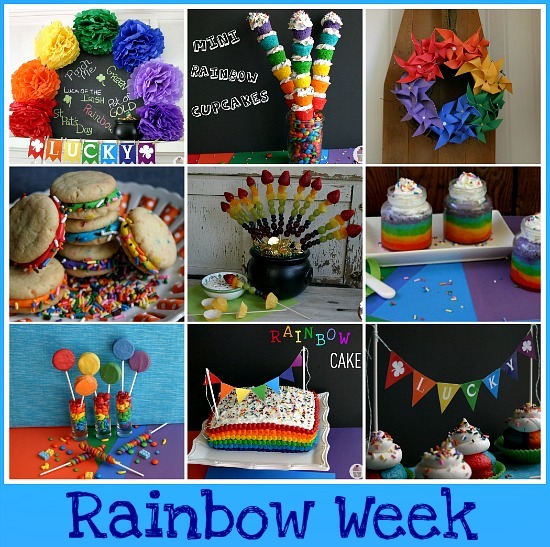 If one were making a particularly large batch of these, do you think that the coloring would be more ideally done during the addition of eggs, or maybe even the creaming of butter and sugar? This dough is very soft, and should not get tough with the addition of the coloring at the end. You can certainly try to add it during the mixing process. Cool stuff. I love the color and decoration of your cookie. These are surely going to make the moms a real hero.